Sense the Tango will be holding a weekend residential tango retreat at Gunnebah Retreat Centre, near Murwillumbah in northern NSW over the weekend of 4-6 April. 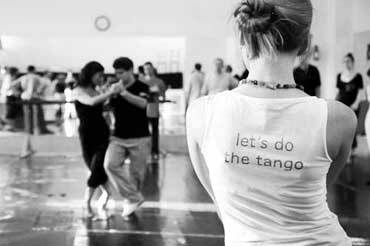 Tango teaching and learning sessions led by professional Argentine Tango teacher, Sarah Bonnar. Extended dance topics, including kinaesthetic awareness, dance fitness and dance safety. The opportunity to leave the distractions and demands of your day-to-day life behind, focus on yourself, and indulge your desire to learn new skills. A friendly, peaceful and relaxing environment and good food. A second weekend retreat will be held at the end of June and we will be holding a 4-day retreat from 22-26 June. The single Early Bird price for the April retreat is $600 until 7 March. After that, the price will be $650. There is also a reduction on these prices for dance partners who register together for the same workshop. Prices include accommodation, all meals, and airport transfers between Gold Coast Airport and the venue. However, if you register with us with the Special Offer Code RUEDISIMA, we will give you a 10% discount on these prices. Get more information from our website. If you've got questions, complete the enquiry form on our website, or call Tim O’Shea on (0417) 286 722.